COHRS hydrogen refuelling stations are to be integrated into conventional service stations wherever possible. 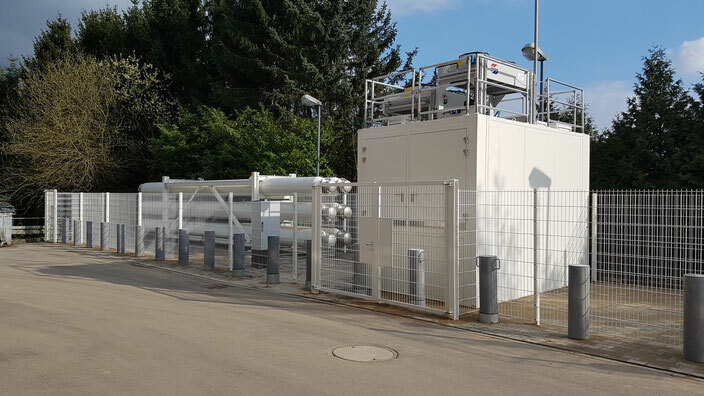 The design is compact, does not require a great deal of space, and consists for the most part of standardised components for hydrogen storage, compression and the 700 bar pumps themselves. The stations in Germany will be integrated into existing service stations already operated by the H2 MOBILITY shareholders OMV, Shell and TOTAL. Together the stations open up five important TEN-T corridors: Scandinavia – Mediterranean, North Sea – Baltic Sea, Orient/Eastern Mediterranean, Rhine – Alps and Rhine – Danube. The stations in Asten (Linz), Wiener Neudorf and Graz lie along the TEN-T corridors Baltic Sea – Adriatic and Rhine – Danube thus connecting Germany, Hungary, Slovakia and Slovenia and will be integrated in OMV stations.